This entry was posted in Contract Disputes Act, Government Contracting and tagged 40 U.S.C. 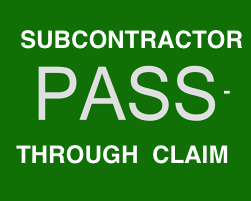 7103, claim certification, Contract Disputes Act, pass-through claim, Severin doctrine, subcontractor pass-through claim by David Adelstein. Bookmark the permalink.